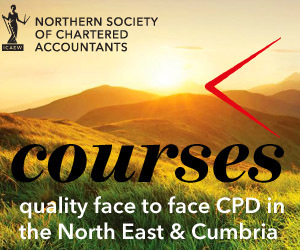 An overview of business confidence and the latest economic forecasts can provide valuable insights into how a rapidly changing economy is affecting business in the North East and the rest of the UK. Presentations will be followed by discussion of the findings and implications for business. As well as answering questions, presenters will be keen to hear your views about business conditions in your area. The latest findings from the quarterly ICAEW / Grant Thornton Business Confidence Monitor (BCM) will give an indication of the overall direction of the economy, what is driving change and highlights the key concerns of UK plc. Breakfast will be available from 07:45 and the briefing and discussion will commence at 08:00 and conclude by 09:30. Please advise when booking if you have any special dietary requirements. Jonathan began his career at Northern Rock, working his way up to the position of Section Manager leading departments working in both the debt recovery and mortgage retention areas. After leaving Northern Rock in 2008 he joined HSBC where he worked in a number of roles, latterly as a front line relationship manager working with internationally focused businesses in the North East. Jonathan joined UK Export Finance (UKEF) in 2012 where he worked as an Export Finance Adviser in the North East of England. After 18 successful months Jonathan was promoted to Senior Export Finance Adviser, where he assumes responsibility for the North of The UK, line managing the Export Finance Advisers within this area. Jonathan still also maintains his role in the North East of England, working with exporters. Keith Proudfoot qualified as a Chartered Accountant in 1978 and has worked in an international practice, a small firm of Chartered Accountants in Consett just as the steel works were closing, and in the property industry. In 2001 Keith was appointed the first Regional Manager for the then 3000 members of the ICAEW in the northern region and subsequently was given the responsibility of looking after the interests of and raising the ICAEW profile for the 1400+ members in Scotland. Keith has an extensive business support network. Simon Cosby is Lead UKTI Adviser in the North East of England for Canada, USA and Mexico and regional lead adviser for the energy/renewables sector. Simon has over 20 years’ of business development experience throughout Asia, Europe and North America. First-hand knowledge of establishing and developing all types of sales network including agents, distributors, wholesalers, retailers, B2C.